Salary : Rs: 1,75,000 - 2,00,000 P.A. Minimum 1 year of experience into GIS Mapping. 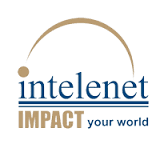 Intelenet is a large global Business Process Outsourcing player, committed to delivering our client’s strategic goals and helping in enhancing, broadening, and deepening the relationship to add value.